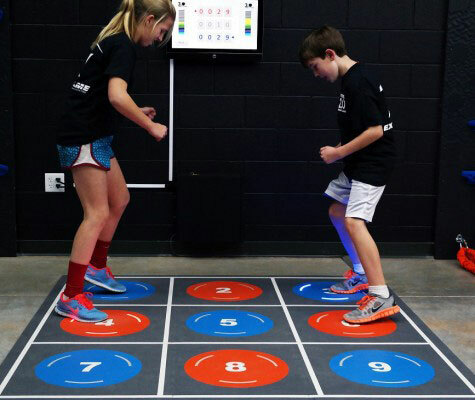 Turn your floor into a high intensity interactive area. Are you looking for a new fitness product that will encourage a wide and new variety of people to check out your fitness facility? Exergame Fitness has you covered. Don’t wait to invest in fitness products that will bring in a new demographic. The Pavigym Square 3.0 can help you achieve your goals for your fitness facility. 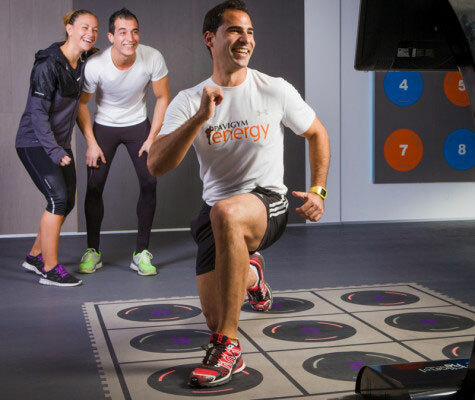 Pavigym 3.0 is an intelligent and interactive floor with integrated LED lights controlled by touch screen software, enabling trainers to design, and track their training sessions. They can even control the lights and music at the touch of a button. It is a fun and entertaining way to train. Keep your members sweating and smiling at the same time! Are you interested in learning more about this fitness product? Whether you have youngsters who are into fitness or adults who’d like to get in a fun workout, Exergame Fitness has fitness products that will impress anyone. Contact us to learn more about our fitness products. Square 3.0 allows users to choose their preferred training and practice multiple and varied exercises at their own level: balance, speed, reactions, stability, precision, coordination, agility, mobility, and postural control. Working with a partner enables fun competitions between members. Pavigym 3.0 health club and fitness training flooring incorporates lighting, sensors, and fitness program in technical tile flooring pieces assembled onsite. Each fully programmed fitness and athletic training program are controlled from a central command unit such as an iPad (sold separately). • As an independent express workout tool: With pre-programmed exercises (approx. 10 minutes) members will train by themselves. • Free workouts: An ideal tool for Trainers to increase personal training demand. • Within Small Group Programs: In combination with either 2.0 or other 3.0 products your Small Group Training Sessions will be unique. Using 3.0 technology in your health club or studio can help your clients and members discover nearly unlimited structured exercises delivering a new exercise experience compliments of sequenced and vibrant lighting and symbol progressive exercise cues. A participant simply follows these exercise cues as instructed by a personal trainer, as a part of a group, or individually -without instruction.